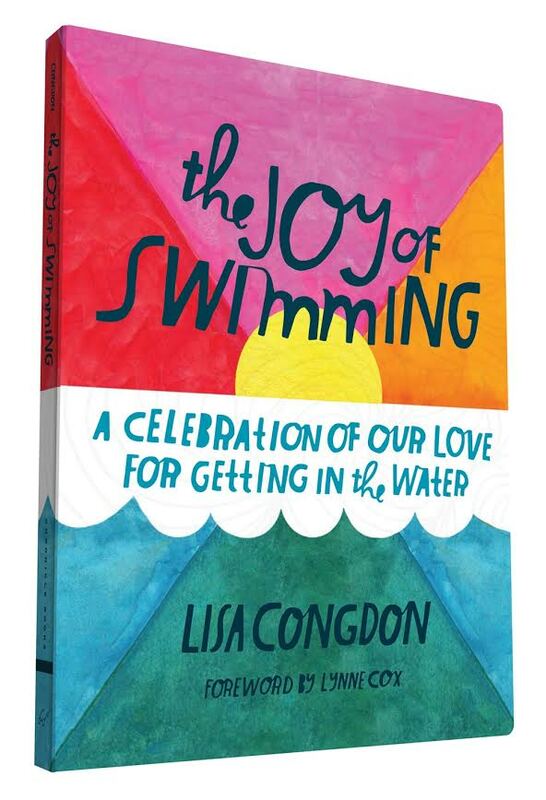 Best selling author Lisa Congdon encourages readers to dive in to this celebration of swimming with stories and images galore. Lisa will give a 20 minute talk on creating the book, followed by a Q&A with the audience and a signing. From Lisa Congdon, bestselling author of Whatever You Are, Be a Good One, this lovely new book invites readers to dip into the many joys of swimming. Congdon brings her personal passion as a lifelong swimmer to this beautiful and thoughtful celebration of getting in the water. Hand-lettered inspirational quotes, watercolor portraits paired with real people’s personal stories, illustrated collections of vintage objects—colorful swim caps, bathing suits through the ages, traditional pool signs—and much more evoke the beauty and inspiration of the subject. An emphasis on swimming as a way of life—taking the leap, going with the flow—makes this delightful volume one that will speak to serious swimmers, vacation paddlers, and anyone pondering their next high dive. Fine artist and illustrator Lisa Congdon is best known for her colorful abstract paintings, intricate line drawings, pattern design, and hand lettering. 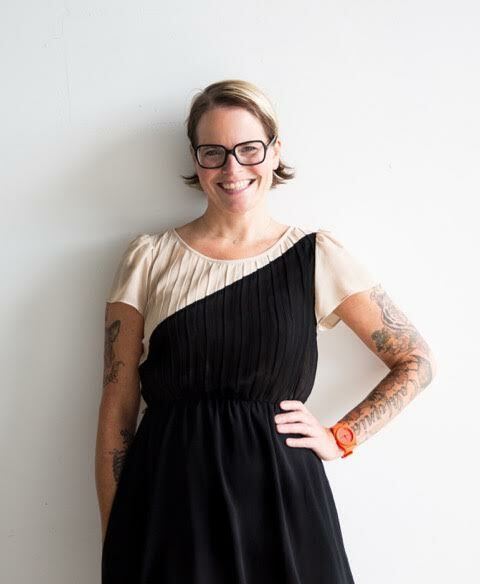 She works for clients around the world including the MoMA, Martha Stewart Living, Chronicle Books, The Land of Nod, Simon & Schuster, and Cloud9 Fabrics, among many others. She has exhibited her work around the country, including in shows at the Contemporary Jewish Museum and Bedford Gallery and is currently represented by Uprise Gallery in New York. She is the author of five books, including Art Inc: The Essential Guide to Building Your Career as an Artist, Fortune Favors the Brave, Twenty Ways to Draw a Tulip, A Collection a Day and Whatever You Are, Be a Good One. Her next book The Joy of Swimming: a Celebration of Our Love for Getting in the Water will be released in May of 2016. She lives and works in Portland, Oregon.